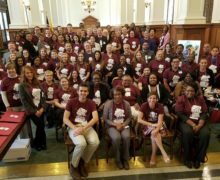 Housing advocates scored a major victory in St. Louis, Missouri as the Mayor included full funding for the St. Louis Affordable Housing Trust Fund (AHTF) in the city budget for the first time since 2011. Voters originally approved the AHTF in 2002 and subsequent legislation required a $5 million annual allocation. However, the City of Saint Louis failed to fully fund the AHTF for the last six years. After voters passed Proposition 1 in April 2017, instating a half-cent sales and use tax to raise revenue for economic development and transit improvements, the newly formed Affordable Housing Trust Fund Coalition began their advocacy to win the support of Mayor Lyda Krewson, the Board of Aldermen, and Comptroller Darlene Green to contribute a portion of the tax increase to the AHTF bringing the 2018-19 allocation to $5.5 million. The AHTF Coalition formed in order to restore full funding as part of the community response in the wake of social upheaval around police violence in Ferguson. This effort included an influential community-driven report from Washington University that cites St. Louis as one of the 10 most segregated regions in the nation. The report points to segregation as one of the key drivers of inequity, with a literal negative impact on people’s lives. For example, the life expectancy in the historically white city of Clayton, the seat of St. Louis County, is a staggering 18 years longer than in the historically African American neighborhood, Jeff-Vander-Lou just eight miles away in the city of St Louis. The report offers eleven recommendations to address the legacy of institutional racism. One of those recommendations was fully funding the voter approved AHTF. The AHTF Coalition is a collaborative group of more than 27 organizations and individuals representing fair housing, real estate development, banking, education, racial equity, and civic improvement. Coordinated by Community Builders Network of St. Louis (CBN), the coalition applied consistent pressure to use proceeds from the sales tax to restore full funding to the AHTF. The Coalition launched an advocacy campaign a website calling for full funding by outlining the impact that the AHTF has had to date. In addition, coalition members engaged in media advocacy and all co-signed a letter urging the Board of Alderman, Comptroller, and Mayor to fully fund the AHTF with Proposition 1 revenues. The Coalition’s argument centered on how the AHTF would benefit all St. Louis communities by improving property values in low-income neighborhoods; replace vacant properties with accessible, healthy, and high quality housing; and stabilize communities by providing other services to prevent homelessness and displacement. St. Louis has experienced several declines in funding for affordable housing in the last several years. The AHTF lost roughly $8.5 million in annual revenue from its inception in 2003 from when it was funded at an all-time high of $13 million. Additionally, federal funding through the Community Development Block Grant and the HOME programs declined by $21.4 million when accounting for inflation over the same time period. The Coalition pointed out that the AHTF has still been successful despite these challenges. 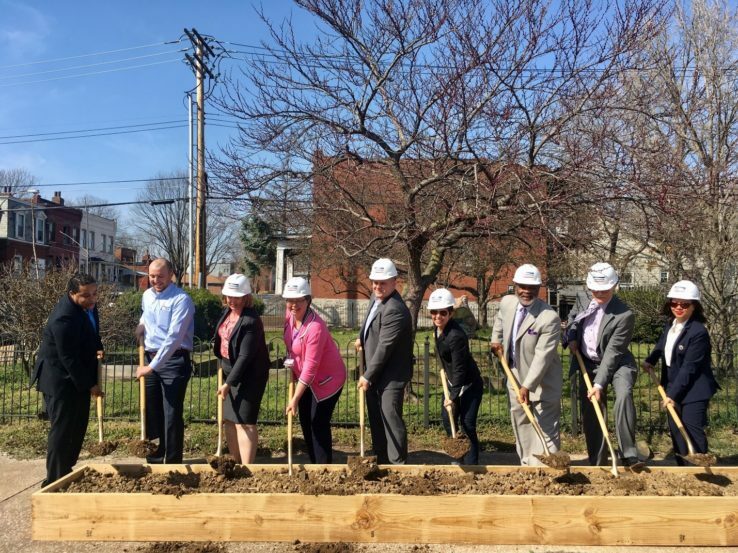 Since the AHTF was established, it has funded the construction of 1,583 new rental homes and apartments and 184 new ownership homes in St. Louis. The AHTF also leverages $17 in private, state, and federal dollars for everyone $1 invested in rehabs or new construction. The AHTF funds affordable housing projects, accessibility modification, home repair, and support for those experiencing homelessness. It is administered by the City’s Affordable Housing Commission. Overall, AHTF funds must serve families and individuals at 80 percent AMI. Notably, 40 percent of the funds must go to serve families or individuals at 20 percent AMI or below, ensuring that a large portion of the funding goes to those most impacted by housing instability. Now the AHTF Coalition is beginning to explore next steps for the region to achieve greater equity in housing. One key path would be for the city to pass a dedicated, expanded revenue source for the AHTF. While Proposition 1 raises additional revenue for the city, advocates will have to perpetually push for the AHTF to be funded in every budget cycle. A dedicated revenue source would ensure that the AHTF is sustainably funded and safe from having its funds diverted to other programs. Coalition members are also setting their sights on establishing a housing trust fund in St. Louis County to support affordable housing in the city’s suburbs. Chris Krehmeyer, of AHTF Coalition members Beyond Housing, wrote an editorial in the St. Louis American urging the County Board of Commissioners establish a trust fund to both revitalize blighted neighborhoods and desegregate the region. He wrote, “The City of St. Louis has had its fund for a number of years. Considering more people live in poverty in St. Louis County, a similar fund is long overdue.” St. Louis County Executive Steve Stenger is supportive of the idea. 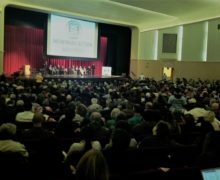 Citing Segregation in St Louis: Dismanteling the Divide, Stenger convened a task force of key stakeholders that include members of the AHTF Coalition to explore how the county can establish a housing trust fund in St. Louis County. 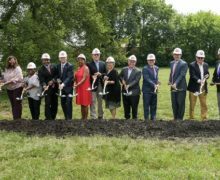 Having effectively created a public dialogue about the effects of segregation, brought together key stakeholders, and successfully swayed the City of St. Louis to renew its investment in housing, the AHTF Coalition is now well-positioned to solidify dedicated funding at the city level and establish a new housing trust fund at the county level. The coalition plans to set its upcoming advocacy agenda in the early fall. For more information, contact April Griffin, director of the St. Louis Affordable Housing Commission, at (314) 657-3880 or go to their website. 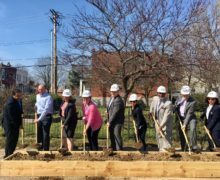 NEXT Louisville Commits to Full Funding for Affordable Housing Trust Fund, Again!